Welcome back migrators! Hope everyone is having a great start of the week. 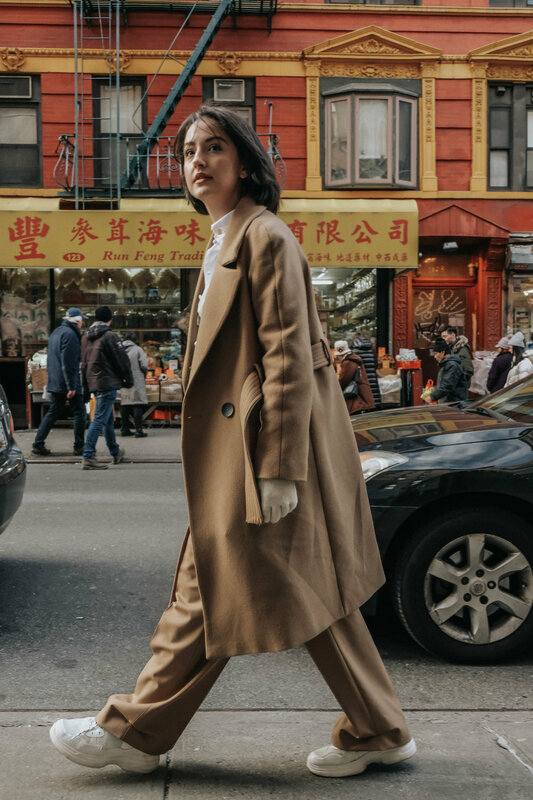 As always, we are here to talk fashion, share our unique styles and get inspired from each other. This past week I’ve been following the Paris fashion shows and I came across the pre-fall ready to wear collections. I was so amazed by the beautifully structured silhouettes walking down the runaway, especially the once from Stella McCartney and Louis Vuitton for menswear. One of my favorite pieces is the paper bag pants with a pleat(if you don’t know what Im talking about keep scrolling) which I’ve been seeing over and over again. Maybe it’s the fact that this style go well with my body shape or the fact that I like edgy tailoring but we can definitely say that this style is going to be HUGE this year. I style my paper bag pants which you can find at &otherstories (currently on sale) with white oversized shirt and a pair of white sneakers. To add a little color I wore a neon shirt and layered gold jewelry. This utterly modern look is everything but ordinary. It’s comfortable and perfect for a chic city stroll or a day in the office. Since I work full time in the office and love spending my weekends in the city, it seems like there is barely any time to wear sweatpants. I enjoy dressing up and enjoy the impact that clothes have on my mood. While I don’t like to use shopping as a stress therapy I enjoy the art of shopping and exploring my creative potentials to clothes and styling. 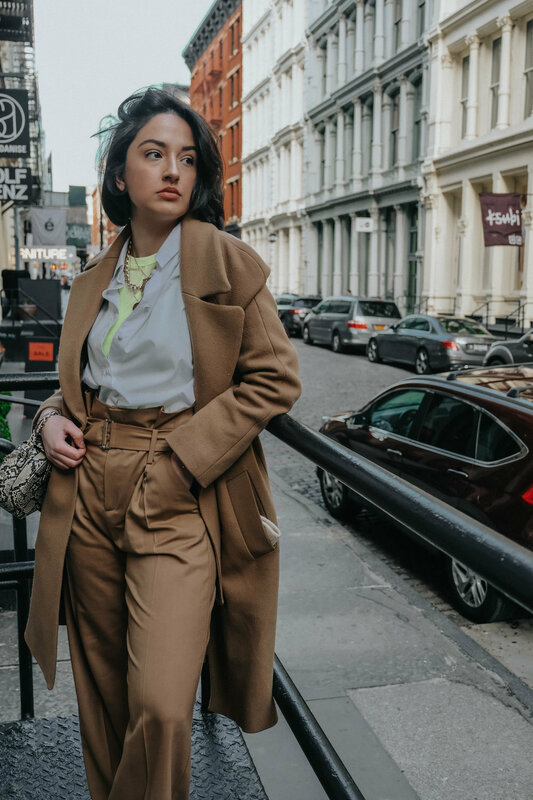 These type of pants you can find at a vintage store, high end designer brands or mass merchants who are quick enough to catch up with the trends that designers create. Keep scrolling to find paper bag pants from whichever source you prefer to shop from.